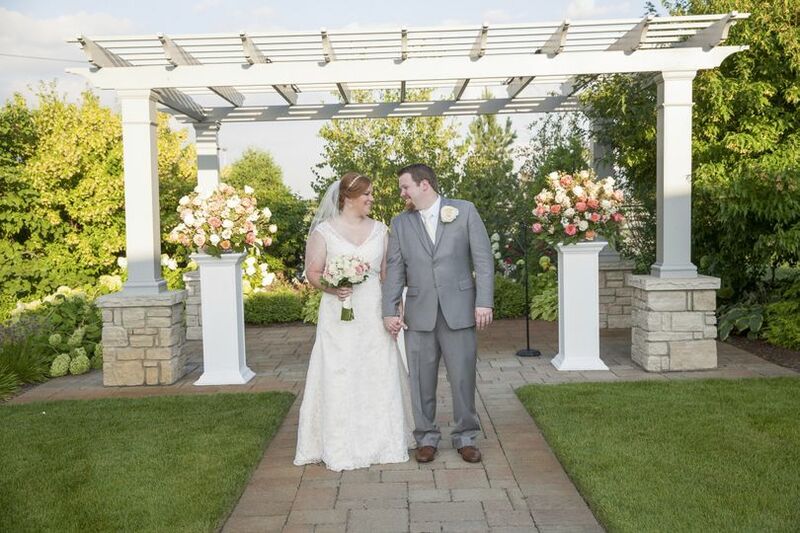 A Wildrose wedding experience is personalized service from your first free consultation to your wedding day. 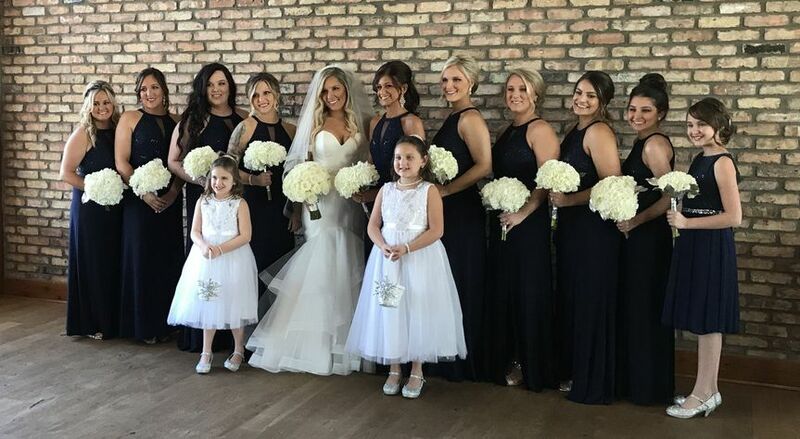 My boutique shop offers florals for all size weddings in the Chicagoland and surrounding Suburban areas. My name is Judy Laughlin and I am the owner and designer of all of the flowers. I earned a masters in florals design at the Chicago School of Floral Design and living my dream! 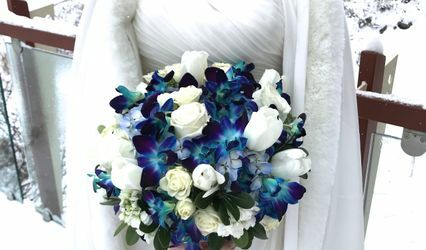 I personnally hand deliver and set up all of your flowers on your wedding day! 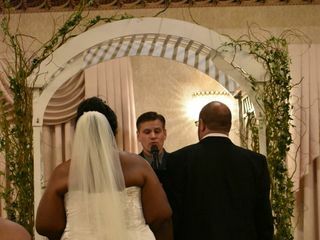 My goal is to make your dream wedding a reality with 100% customer satisfaction. I look forward to working with you during this wonderful time! Yes! We add florals to cakes too! I cannot speak more highly of any other vendor I used for my wedding day! Judy is absolutely amazing! From the first time I met her at a wedding expo I knew I wanted to use Wildrose as my florist. Judy is very organized and knows how to find exactly what you are looking for – even if you don’t know as the Bride. 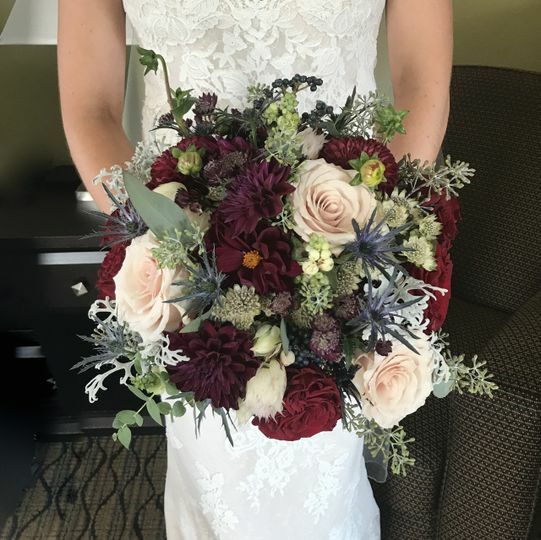 I had no idea what types of flowers to use in my bouquet but at one of our consults she showed me several pictures of previous bouquets she had done and I told her the colors I was going for. 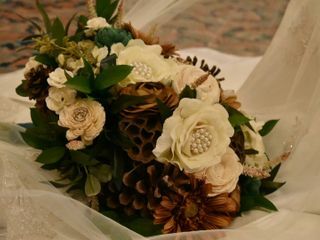 My bouquet was the most beautiful arrangement of flowers I have ever seen. She did such a wonderful job coordinating my Bridesmaids bouquets, corsages, and boutonnieres to match mine so perfectly. 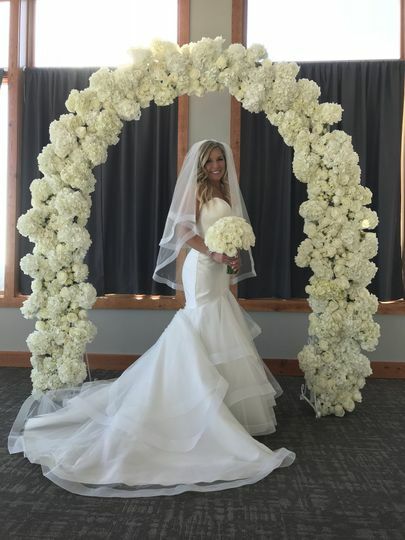 Not only did Judy do my bouquet and other floral arrangements for me, she also set up my ceremony site by lining it the aisle with beautiful ribbons and two large floral arrangements making the room look perfect and just the way I had envisioned it. In addition, I had Judy set up my reception centerpieces. 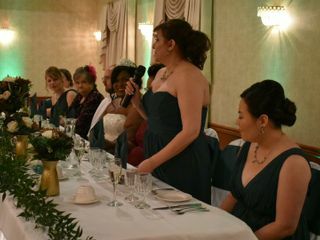 The centerpieces included: tables with tall floral center pieces, floating candles, and my Bridesmaids bouquets. When I saw the reception room for the first time, I was so taken back by how beautiful it had been done. I was so impressed with the elegance from the centerpieces that had completely transformed the entire room. Judy was truly amazing and so wonderful to work with. She is on top of everything and makes you feel so confident in choosing her. I gave her all of my trust to make my wedding day look perfect and to say it was perfect is such an understatement! 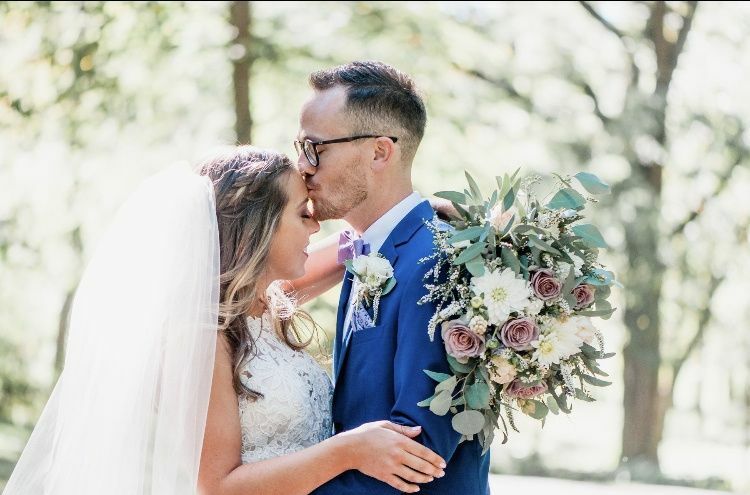 I am so thankful that I found her and that she was there to help make my wedding day so perfect! 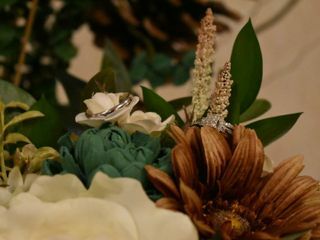 I will definitely continue to recommend Wildrose for all of your floral needs, even if it is not just for your wedding! Judy came to my rescue a month before my wedding after I had a horrible experience with my previous florist. 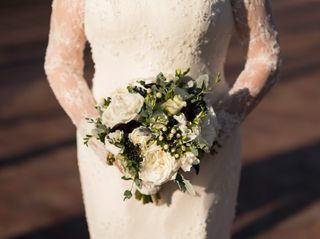 Judy was so fun to meet with and was so creative based on my overall floral goals, both in regards to design and budget. We met in her flower shop (which is so cute by the way!!) and she actually put together little bouquets and showed her ideas for us right there and really brought our thoughts to life. I loved how consultative she was and you can tell she has so much passion for her work. 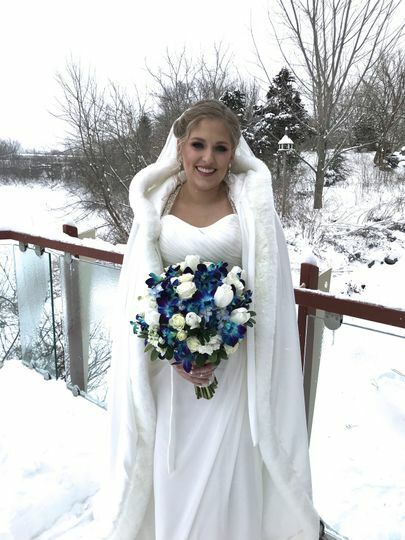 The day of, the flowers were absolutely stunning and it was exactly what I wanted. 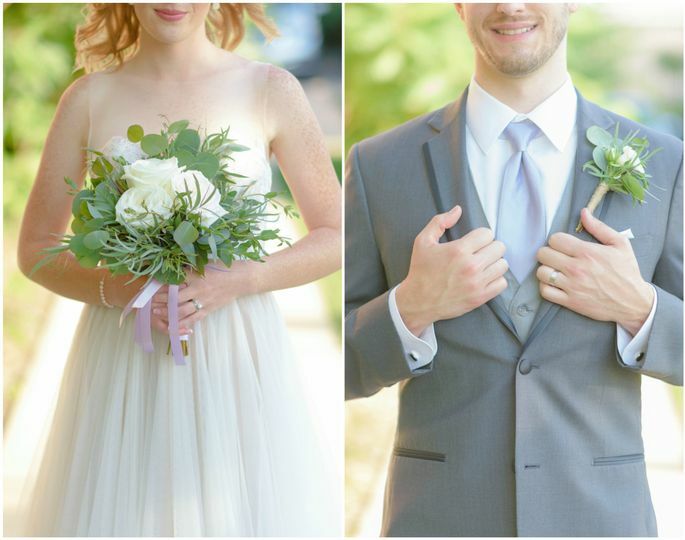 She was on time with all of the bouquets and boutonnieres and all of the set up and logistics were flawless. 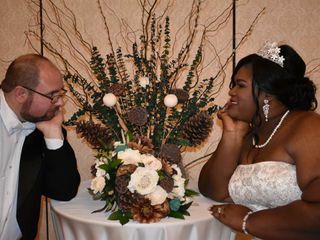 She did the flowers for our ceremony and reception and I couldn’t have been happier. 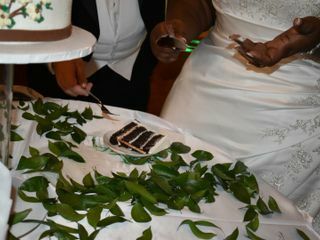 I also wanted a lot of candles on all of the tables in the reception and she made sure they were all lit and beautiful! If you are looking for someone that you can trust 100% and know you will be happy with the outcome, definitely choose Judy!! Judy went above and beyound our expectations. I was amazed with we received. Judy asked our price point and made sure in our final meeting I stayed on task and didn’t go over my budget. I would recommend Judy to every bride 100 times. A 10% discount will be applied to all United States Military Service Members at the time of final payment. This applies to brides or grooms who are on active duty or veterans. Only 1 coupon per order please.